A cheesecake without dairy? Yes, it’s true! 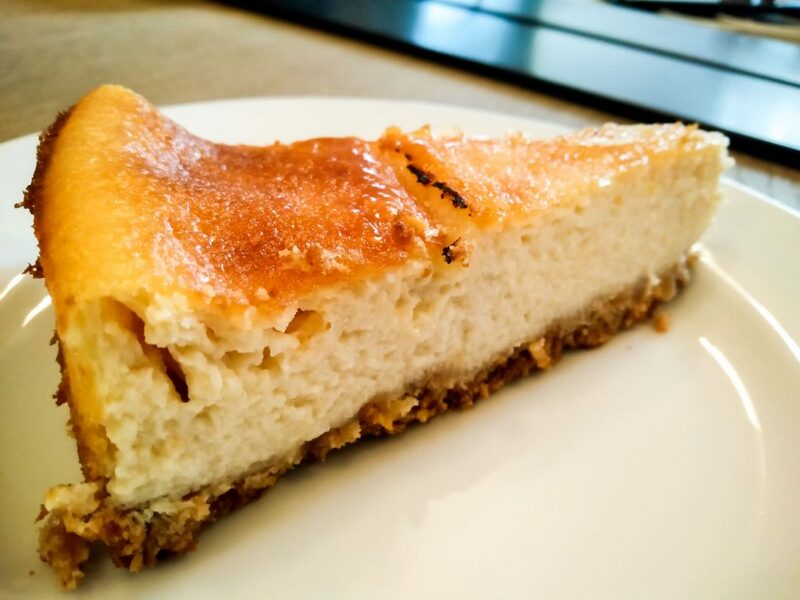 This Crème Brûlée Cheesecake is actually a New York cheeseless cheesecake, prepared with soy yogurt and soy cream in place of traditional ingredients. For the crust of the cake I used my recipe of cookies, so I’m sure about them being dairy free. 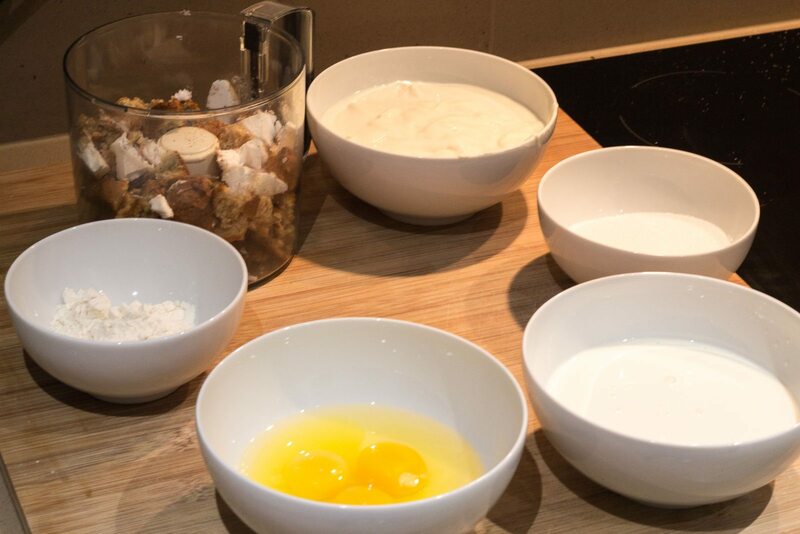 There is little sugar in this recipe to balance with the topping of your choice that will be sweet, here there is a layer of caramelised sugar to mimic a ‘crème brûlée’, a fruit coulis/sauce would also be very sweet. Gather your utensils and ensure they are grease free. Line the base of a 23cm springform cake tin with parchment paper. 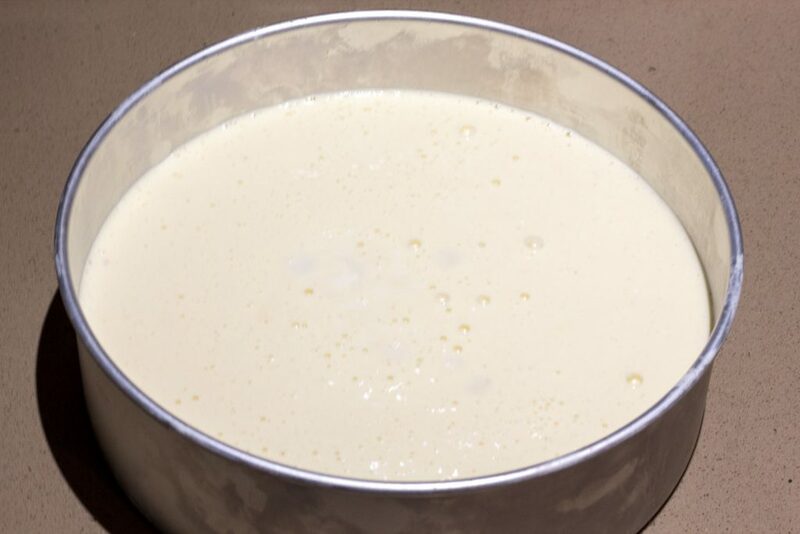 For the crust, melt the coconut oil in a medium saucepan or alternatively in the microwave for about 1min30secs. Crush the cookies in a food processor or in a food bag using a rolling pin. 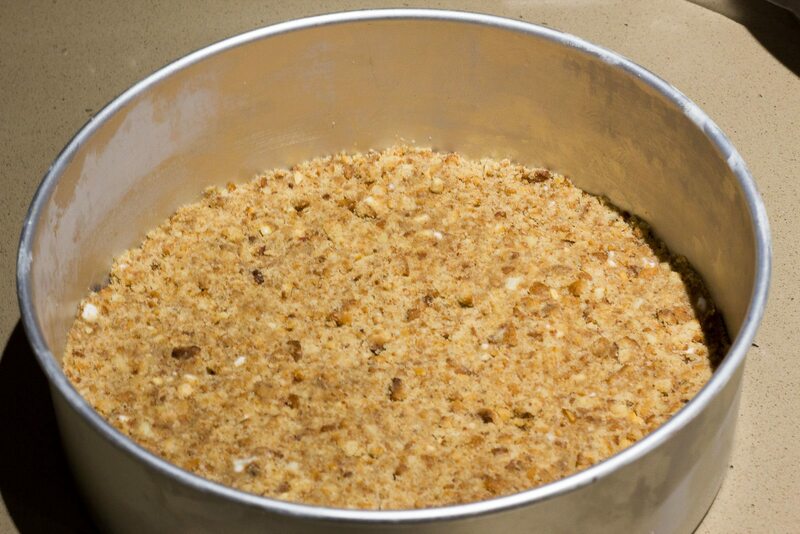 Mix the cookie crumbs and the coconut oil so the mixture is evenly moistened. Press this into the bottom of the springform and keep refrigerated while you prepare your filling. 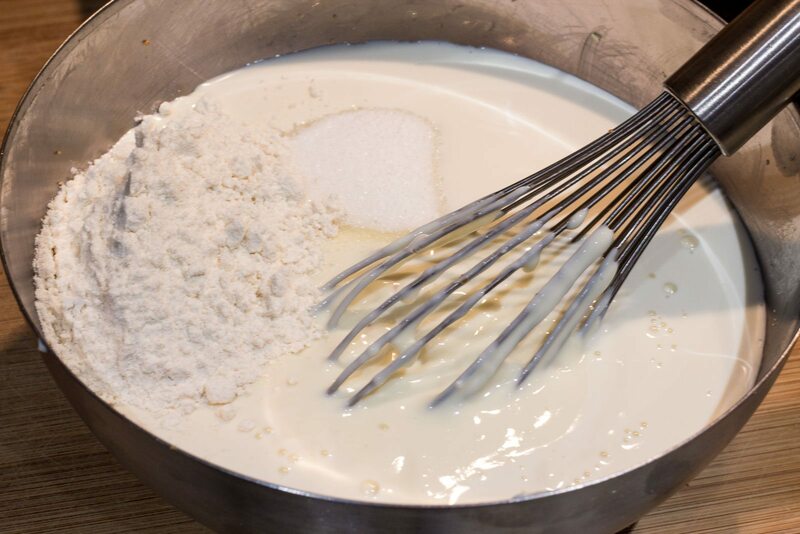 In a large bowl, mix together the soy yogurt , sugar, soy cream, vanilla extract and flour until smooth. 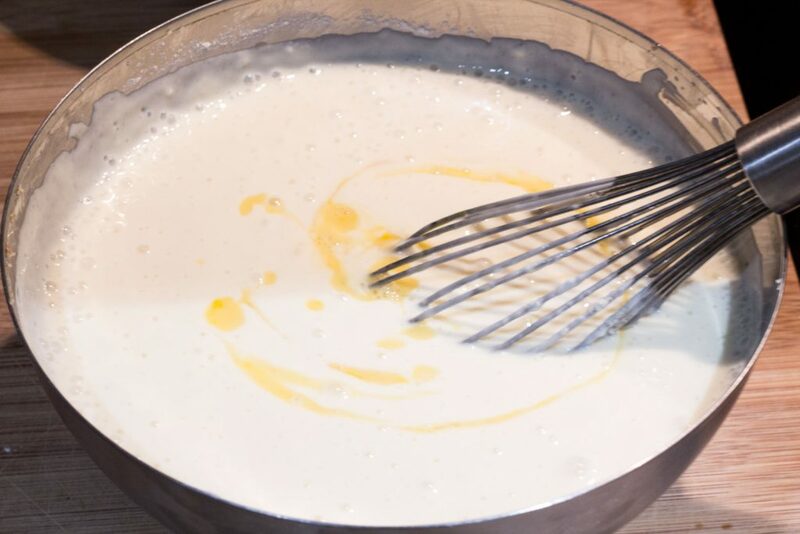 Mix in the eggs one at a time, stir just enough so that they are well incorporate. Take the crust out of the fridge and pour in the above filling. Bake in preheated oven for 55 minutes. Turn the oven off and let cake cool in oven with the door closed for 4 hours, this prevents cracking on top of the cake. Chill in refrigerator until ready to serve. 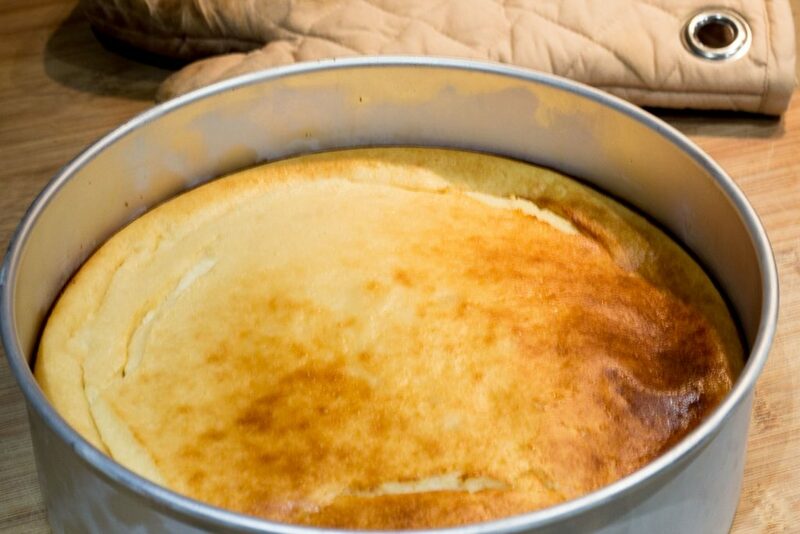 Place a thin layer of caster sugar evenly on top of your cheesecake and use your blowtorch to caramelised the sugar until golden brown. Alternatively, if you dont have a torch set your oven to grill at 220C and let the cake develop the desired colour. Your Cheesecake is now ready, you can enjoy it with raspberry sauce or any fruit of your choice.